Another NRL season is now officially underway and despite an off-season marred with many players making the news for all the wrong reasons, the attention finally turned to a new year of rugby league. 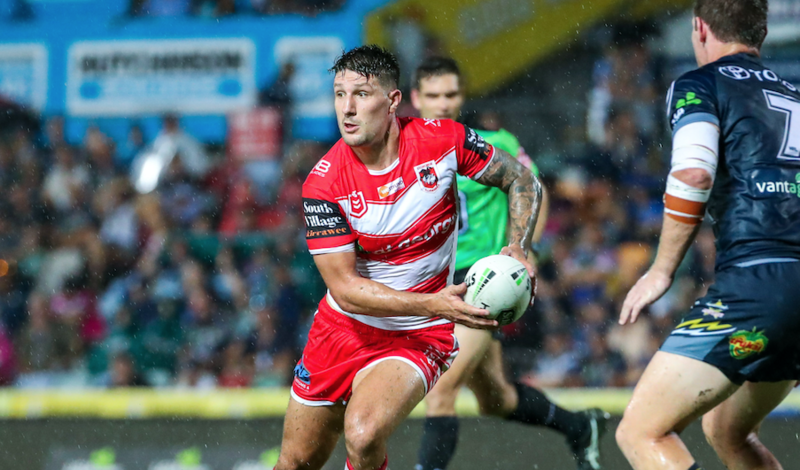 There are certainly questions being asked of a St George Illawarra team that struggled for consistency in their opening game against North Queensland Cowboys. For instance, can Gareth Widdop succeed at the full-back spot? and how will the Dragons cope with the loss of two key forwards? However, patience has been issued by the likes of coach Paul McGregor and prop James Graham as the Dragons look for their new spine to gel quickly, but time will fly by as they will only have a five-day turnaround before facing a South Sydney on Thursday night, a team high from the momentum of their first win. The Rabbitohs came through some tough pitch conditions to see off Sydney Roosters in their opening fixture and Wayne Bennett’s men will certainly look to keep the momentum going and make it a 2-0 start to the season. There may even be a sense of revenge on Bennent’s part as last September, the 69-year-old’s Brisbane outfit succumbed to a 48-18 loss to the Dragons and a feat more shocking when you look at the fact that they had only lost to the NSW side only twice before between 2009 and 2017. Team news: Both teams are set to make changes with Tyson Frizell missing out for the Dragons, who suffered an injury in the defeat to the Cowboys. The Rabbitohs, however, will make the one change with Kyle Turner replacing Corey Allan on the interchange bench. Well, if we were left wondering how Melbourne would cope without such a key figurehead in Billy Slater, we shouldn’t worry anymore as Cameron Munster, brothers Kenny and Jesse Bromwich and new number one Jahrome Hughes stepped up to the plate for the Victoria-based side that easily despatched Brisbane Broncos in a 22-12 win. Now, going into round two, Melbourne travel to a Canberra team fresh from a promising 21-0 shutout win to Gold Coast. 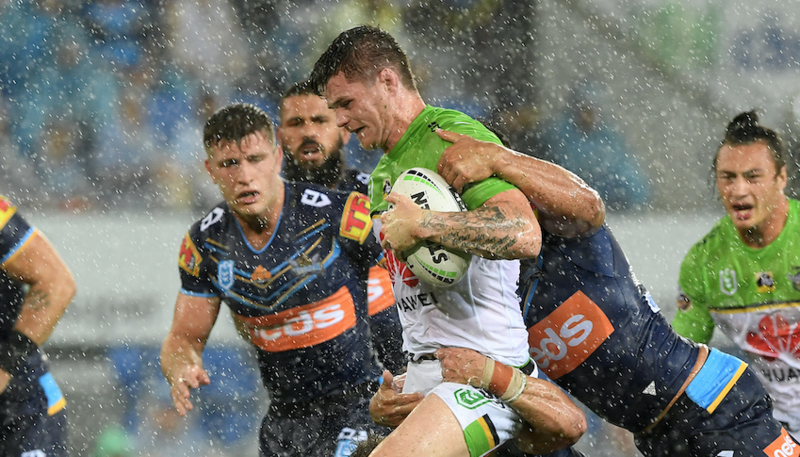 The Raiders were seemingly much better defensively than they had been in recent times, with new recruit John Bateman starring on debut and leading the way in tackles and metres made. All in all, it promises to be a mouth-watering battle in the middle the park as both forward lines look to continue their impressive starts and keep the momentum going into round two. Team news: Raiders winger Jordan Rapana makes an early return from injury and will no doubt provide a huge confidence boost to this stiffer test while Bailey Simonsson gets the nudge down to the reserves. Storm themselves make just the one change, with Tonga international Patrick Kaufusi replacing Tom Eisenhuth (fractured larynx) on the bench. The second Friday fixture sees two of Queensland behemoths resume their rivalry at Suncorp stadium. The Anthony Seibold era may have got off to a rocky start against a Melbourne team that hasn’t lost an opening round game since 2004 but there were some positives to take away from the game. A spirited performance in the second half was there to see but overall, they found it just too difficult to break down an opposition whose first round wins are just scarily familiar. However, another tough test lies around the corner as Brisbane face a North Queensland side that slayed the Dragons first time out. The question remains as to whether Brisbane will be able to contain that North Queensland forward line featuring star man Jason Taumalolo, who put on an absolute clinic in the 24-12 win. 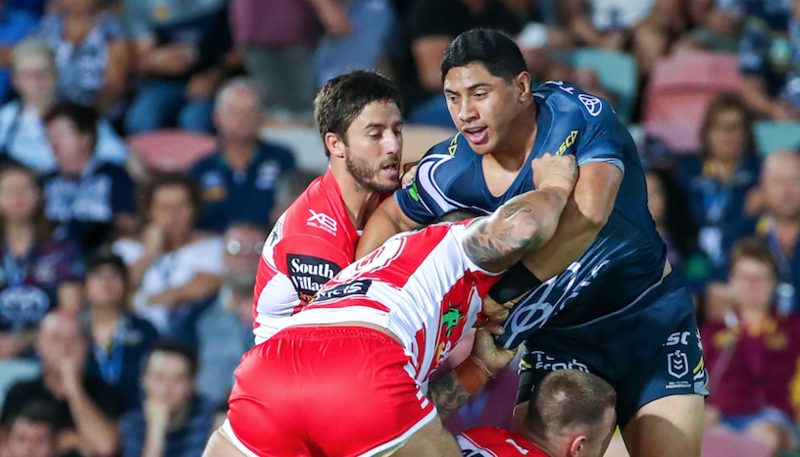 The Tonga international literally ran the show as the Cowboys’ forward line were too much for the NSW side and fans will be hoping for a performance of similar magnitude come Friday night. Team news: Bronco Matt Lodge misses out due to suspension, with Tevita Pangai Jr coming in at prop. The second row also sees a change with David Fifta coming in and Jaydn Su’A going back to bench. The Cowboys remain unchanged. 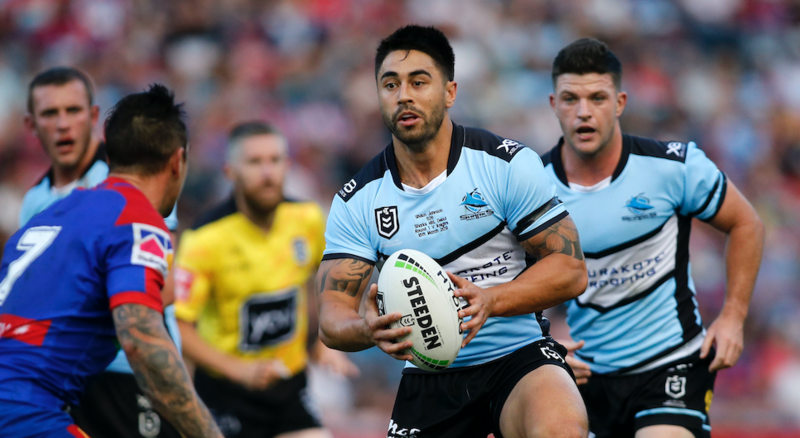 Despite a heartbreaking loss to Newcastle in round one, the Sharks will look no doubt look to bounce back against the Titans with New Zealand’s Shaun Johnson still adjusting to his new role at the Sharks. Despite this, it was still a promising start to Johnson’s career with Cronulla and once again, he could prove a pivotal factor against a Gold Coast outfit with some issues. The Titans are coming off a shutout loss to Canberra and with the key losses of both Tyrone Roberts and Ash Taylor, Gold Coast will certainly have it all to do coming into this game. Team news: The loss of Roberts and Taylor sees Ryley Jacks come into the halves alongside AJ Brimson, with Anthony Don moving onto the wing and Phillip Sami taking a place on the bench. The Sharks remain unchanged. 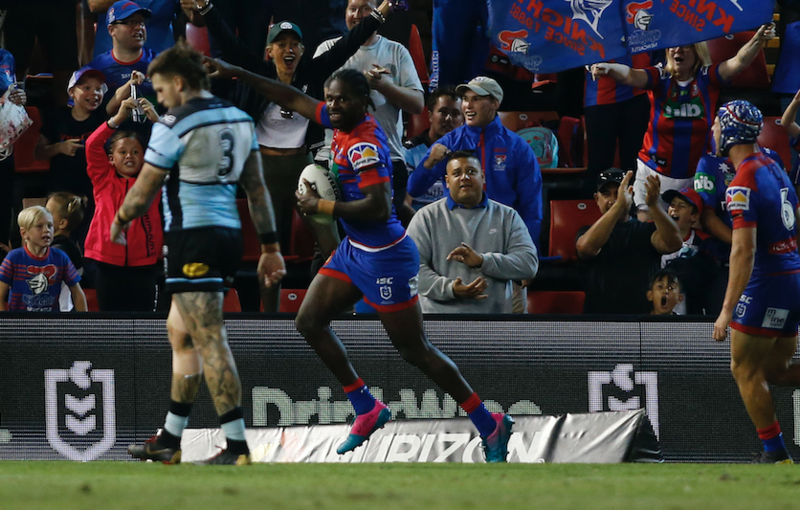 A last gasp Edrick Lee try, who conceded a controversial penalty try moments before, gave Newcastle a 14-8 win over Cronulla in the opening round. It may not have been the most solid of performances, but exceptional displays from new boys Lee and David Klemmer will give coach Nathan Brown something to build on and lessen the reliance on Kalyn Ponga and Mitchell Pearce. The Knights will unquestionably look to ride on this high as they now come face a Penrith side who many have tipped to go well this season, even with the shock loss to Parramatta in round one. The Panthers will certainly have to pull their act together though, coming up against a side that is looking for a great deal of consistency as the season goes on. Team news: The Novocastrians replace the injured Daniel Saifiti by bringing in Herman Ese’ese onto the bench. There looks to be plenty of changes for Penrith as Sione Katoa returns, with Wayde Egan moving to the interchange and Reagan Campbell-Gillard named to start. It may not have been the start to the season the Roosters were hoping for, but it is now probably the league’s worst kept the secret that the heavy pre-season favourites will be on the lookout to avenge such a stinging defeat to rivals South Sydney. 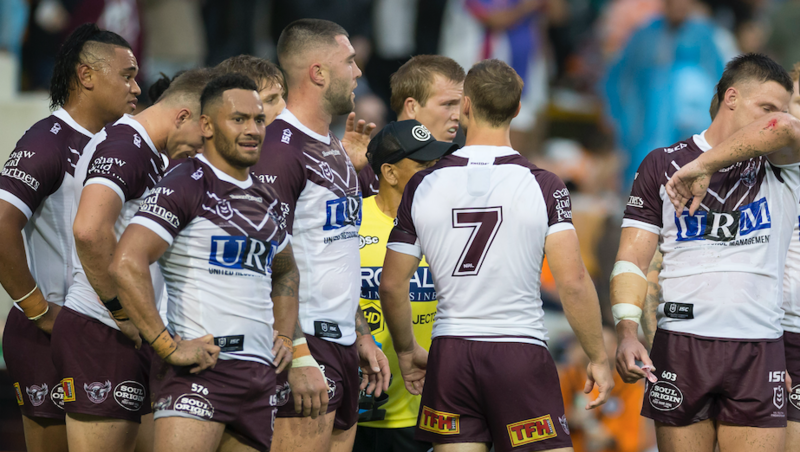 After a 20-6 loss to the West Tigers in their opening game, the Sea Eagles will be hoping to bounce back themselves. However, if signs from the first game are anything to go by then it was not a promising for the Northern Beaches side as they struggled to get anything in attack. The injured Tom Trbojevic proving an excruciating loss and new coach Den Hasler will certainly be hoping the 22-year-old is back in the fold sooner rather than later. The Roosters bloodlust from that first game will remain strong here as the reigning champions look to make a statement. Team news: Manly’s Addin Fonua-Blake (suspension) and Trent Hodkinson drop out with Toafofoa Sipley starting and Manase Fainu on the bench. The Roosters keep the same 17. The heaviest defeat over last weekend saw the Bulldogs put to the sword by a dominant New Zealand Warrior side, with Canterbury rarely looking like challenging their opponents. A tasty New South Wales clash follows though, and coach Dean Pay will no doubt make some changes to try and write the wrongs of opening weekend loss. The Eels may look like they don’t have much going for them this season, but they set out to prove their doubters wrong in that first game by claiming the coveted scalp of Penrith and that they did, holding off the Panthers in a 20-12 win. Team news: The Eels trio of Michael Jennings (suspension), Nathan Brown (injury) and Will Smith miss out, while Josh Hoffman, Junior Paulo and Tepai Moeroa all taking their place. The Bulldogs name an unchanged squad. Fresh off the back of an emotional 40-6 win over Canterbury in the opening round following the tragic events in Christchurch last weekend, the Warriors will look to keep momentum going as Adam Keighran continues to fill the void left by Shaun Johnson in the halves. The Warriors will certainly be hoping the youngster can put forth another impressive and impactful display of against the Tigers who are fresh on the back of their own convincing win against Manly. The combination of Benji Marshall and Robbie Farah was the main takeaway from the Tigers’ win, so can the veterans continue to turn back the clock? Team news: No changes for the Tigers but both Josh Reynolds and Moses Mbye are available. 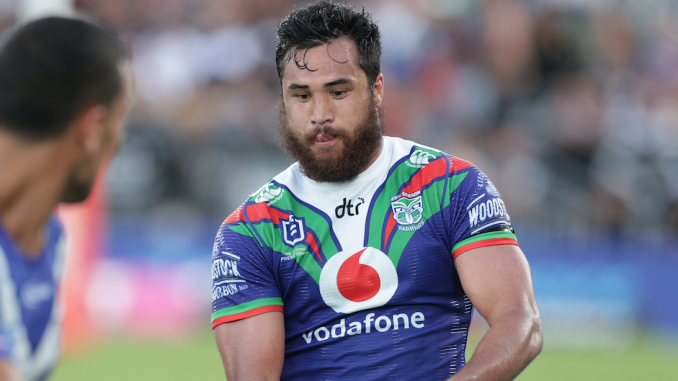 The Warriors name Isaiah Papali’i on the bench, with Blake Ayshford dropping out of the 17.